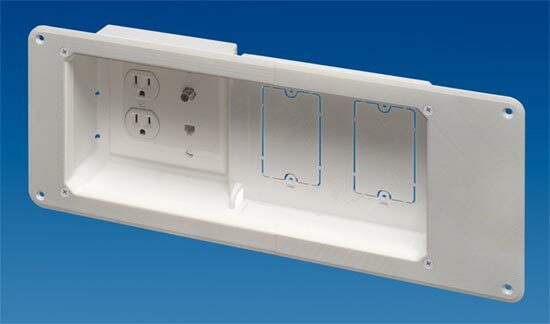 Recessed TV Box for new or old work allows LCD/plasma TVs or furniture to go flush against the wall. 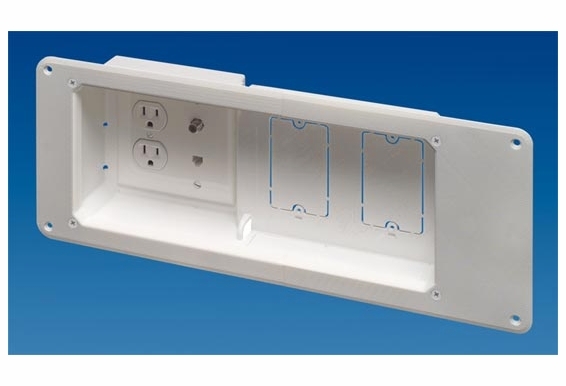 Its double-gang design allows two duplex receptacles (or use the voltage separator for one duplex power and one low-voltage outlet). 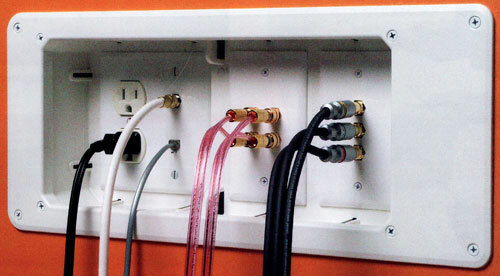 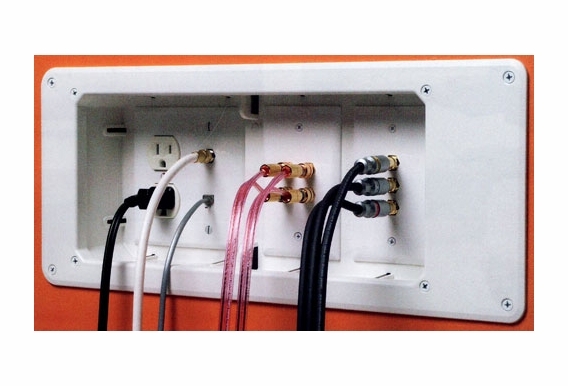 There are two additional built-in mounts for low-voltage use, such as speakers, satellite TV, surround-sound, or other media or datacomm connections. 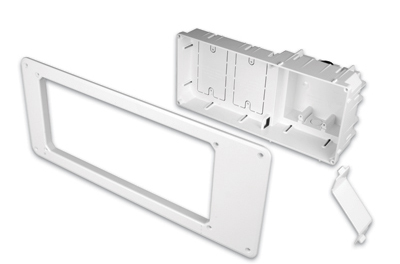 The 13" wide, non-metallic TV Box mounts between 16" o.c. 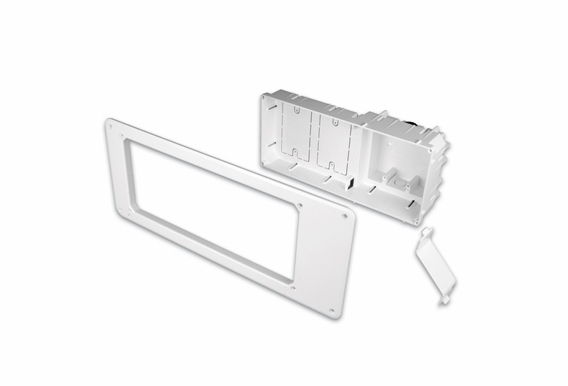 studs for a secure horizontal or vertical installation.